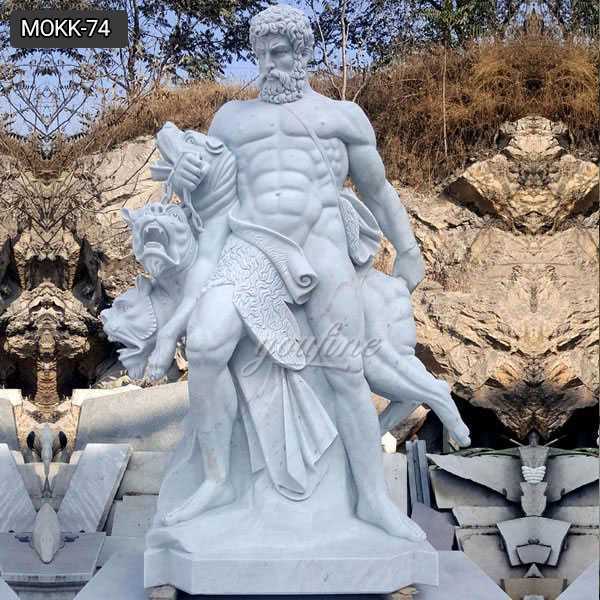 This magnificent marble statue is sculpted from fine marble.Marble Statue of Roman Warrior is sculpted from fine marble. 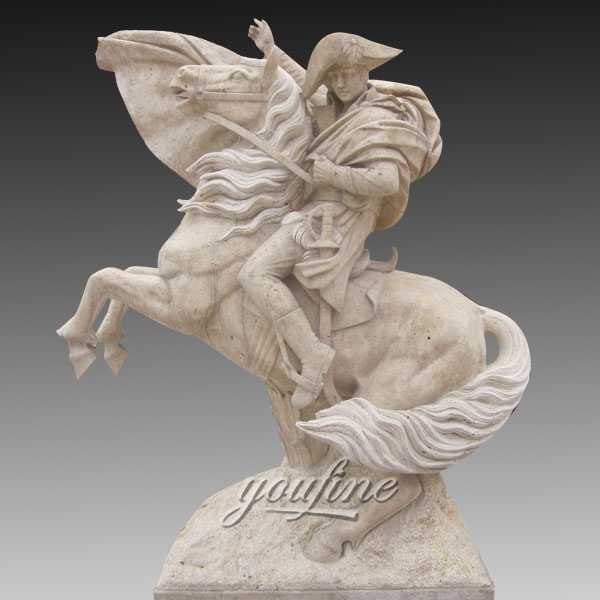 This statue of Roman warrior is shown in the military uniform of Roman Empire, carrying spear and riding on horses. Call us to a complete enquire. 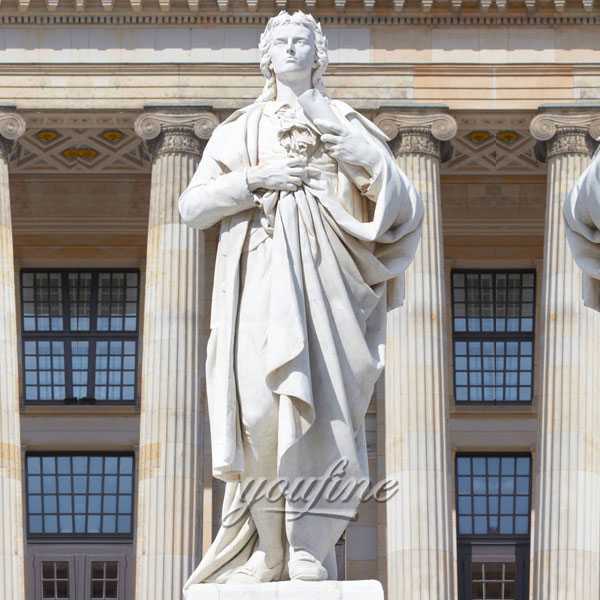 As a factory of 30 years history, You Fine supply all kinds of marble carving statue, such as western figure statues, customized statue, angel statue, four season statue, bust statue, abstract sculpture, statue lamp ect. 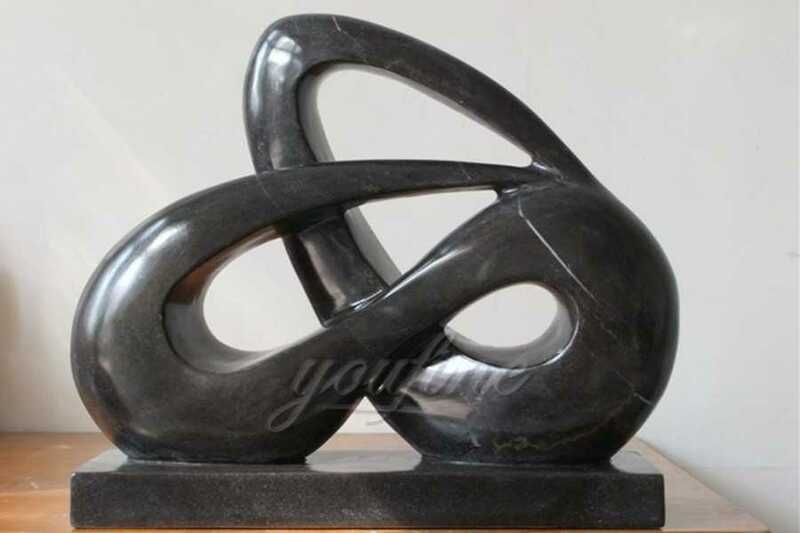 Master normally engaged in this filed for 10 years, devote all their energy to the detailed carving. 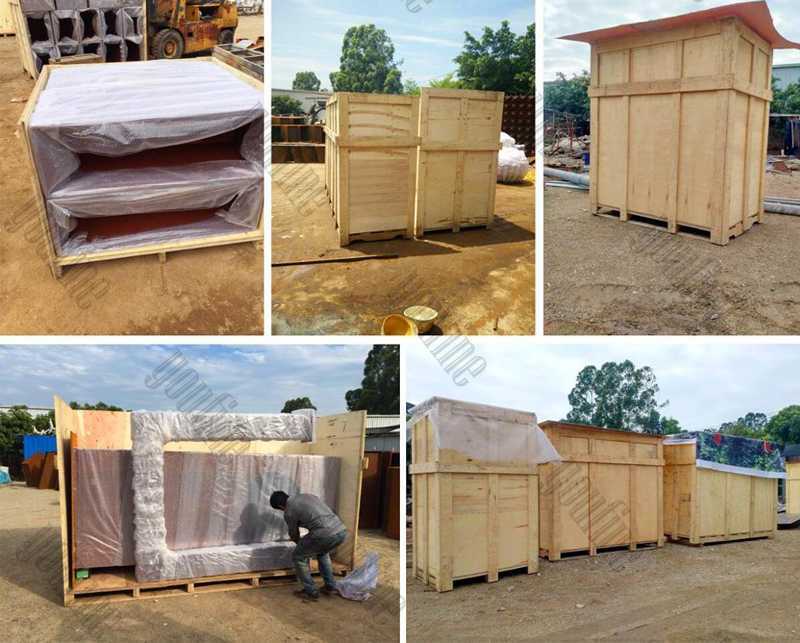 Talented designers could make the CAD drawing and installation direction,QC team control the quality strictly, better quality and better service is our main goal for a lifetime. Our intricate armor of medieval knights and armoured horses is one of the world’s most famous warriors, hand-painted with all the richness of this era’s historical period. 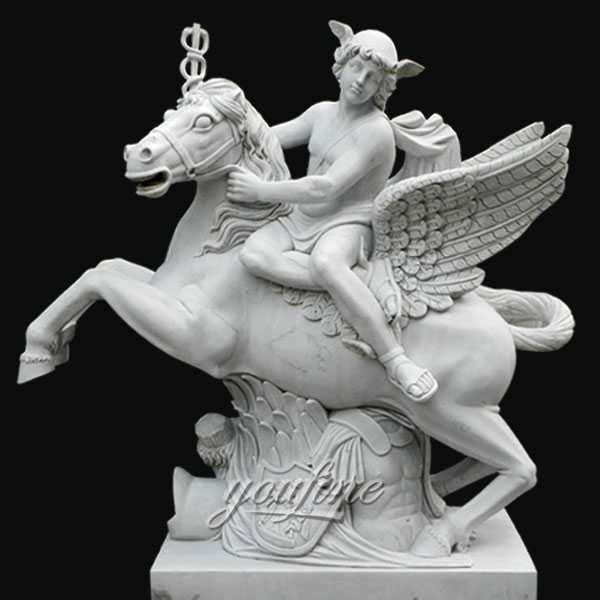 From shields to helmets, the details of the high-quality collectibles are cast with famous brands of marble. 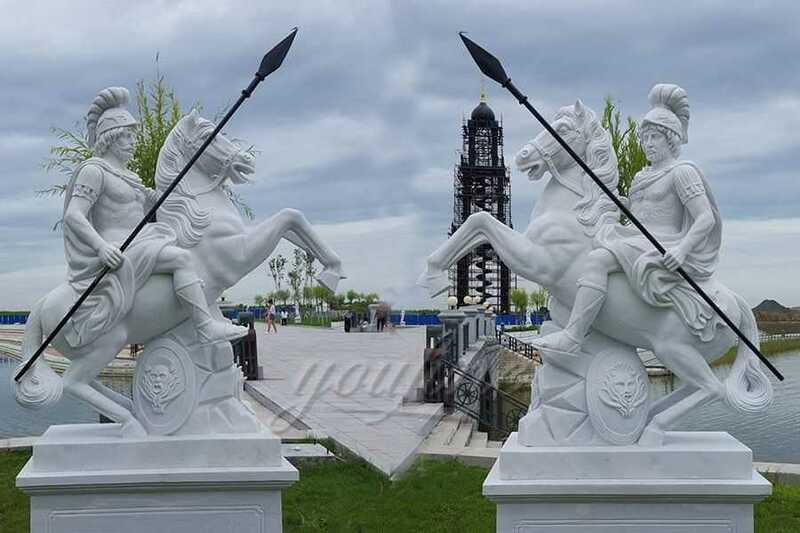 So if you are interested in our Marble Statue of Roman Warrior,or want to custom made any sculpture in casting marble,please contact with us.We have focusing on marble casting since 1983.